The Portuguese Podengo Pequeno is an ancient, no-nonsense hunting hound from Portugal. 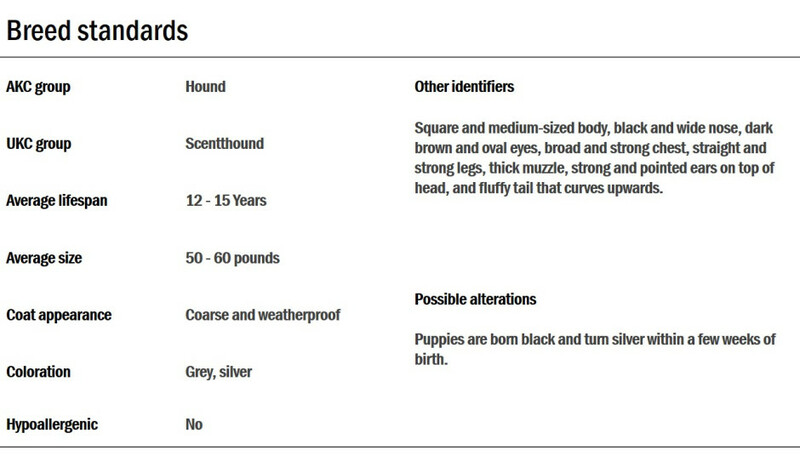 They are multi-sensory hounds that hunt using both their sight and scent and come in three distinct sizes: The smallest Pequeno, the medium sized Médio and the large Grande. These three sizes are generally not cross-bred and each has their own purpose. Podengos also comes in two coat variants – wiry haired and soft haired. One of the later breeds to come to the U.S., the Portuguese Podengo Pequeno arrived in America in the 1990s. The National Dog of Portugal, these smaller pups are bred to chase rabbits. Traced back to 1000 B.C. from breeds that were trained to hunt the thickets of Portugal, this breed has a high endurance and obedience level. The smallest of the three Portuguese Podengo breeds, he's also the fastest. The largest of the Podengos, the Grande, hunts larger prey than rabbit, including boar. 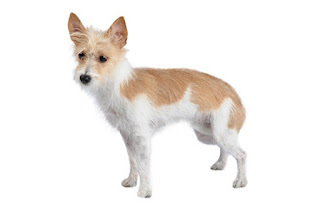 The Podengo has a slender, rectangular body, well muscled, with a wedge-shaped head and large, upright ears. The coat can be short and smooth or somewhat wiry and comes in any shade of red, with or without white markings. Most Pequenos in the U. S. are the wirecoated variety. Podengos have appeared in several movies, including Three Wishes, Soccer Dog, and Zeus and Roxanne. Like his cousins the Cirneco dell Etna, Ibizan, and Pharaoh Hounds, the Podengo is known as a rabbit hunter in his homeland of Portugal. The breeds probably share a common ancestor back through the sands of time. The dogs were first imported into the United States in the 1990s, so their history in the U. S. is young. They are recognized by the Federation Cynologique Internationale in Europe, as well as the United Kennel Club and the American Rare Breed Association in the U. S. They are also part of the American Kennel Club’s Foundation Stock Service, a first step toward AKC recognition. The Podengo Pequeno is now a member of AKC’s Miscellaneous Class, the last step before AKC recognition. The Portuguese Podengo Pequeno is a cheerful, versatile, rambunctious little dog with a strong desire to please the people he loves. However, it is an independent thinker and is naturally wary around strangers. Though they are lovable and loving, Pequenos are not lap dogs. They are tireless hunting hounds that need to actively engage with people and other animals to stay physically and mentally fit. They should be treated like the bright, active animals that they are. This is not to say that they are stodgy. To the contrary, Podengo Pequenos are known for their silliness. They run around the house with wild abandon, jumping onto and banking off of furniture and engaging in any number of other amusing antics. They become very attached to their owners, are patient with children and make terrific family companions. Loyal, tenacious and fearless, they also make great watchdogs. 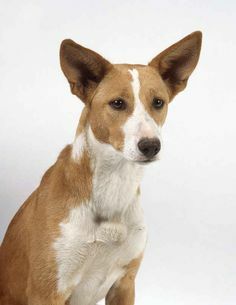 The Portuguese Podengo Pequeno is a breed that has had little to no human intervention over the years and as a result does not suffer from any known hereditary health conditions. 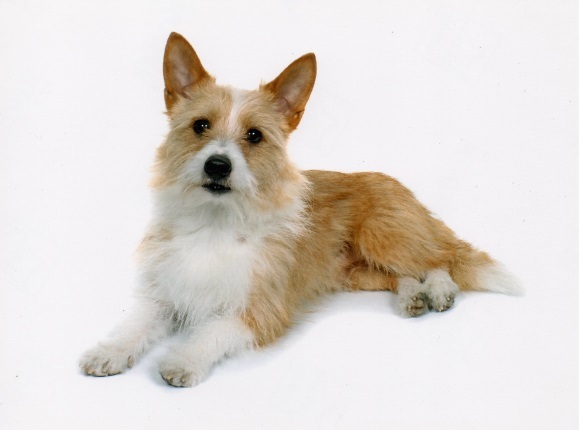 The Podengo Pequeno is a very bright breed and is easy to train. 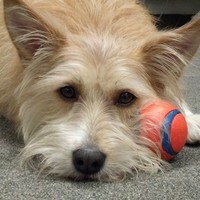 Reward-based techniques, using positive reinforcement rather than harsh verbal or physical corrections, makes teaching these dogs standard obedience commands a breeze. Training them to do things that exploit their physical prowess is another good strategy. Recall training is important for all dogs, but a reliable recall is especially important for this independent, sometimes willful breed. Podengo Pequenos’ independence and intelligence should be harnessed and focused, not suppressed. Podengo Pequenos were bred to have enough stamina and endurance to hunt throughout the day, for consecutive days. As such, they have seemingly limitless amounts of energy and require a great deal of exercise. Although their small size makes them suitable for small homes or apartments, they should only be housed in small living quarters if their owners are able to cater to their exercise needs each day. They often do best in houses with large gardens or rural farm yards where they can frolic about at will. The smooth Podengo has a short, dense coat. The wirecoated variety has a medium-length coat with a harsh texture. On his face he has a distinctive beard. Neither type has an undercoat, so the dogs don’t shed much. Whether he has a smooth or wire coat, the Podengo is easy to groom. Both varieties can be brushed weekly. The smooth will probably enjoy being groomed with a rubber curry brush or hound mitt, while the wire is probably best cared for with a pin brush. The wirecoated Podengo should not be trimmed; his coat is supposed to have a rustic look, as if he just came in from a field in Portugal. Baths are rarely necessary for either type. Every three to six months is plenty. The rest is basic care. Trim the nails as needed, usually every few weeks. Remember that sighthounds are sensitive about having their feet handled. Be careful not to cut into the quick—the blood vessel that feeds the nail. This is painful and your Podengo will put up a fuss the next time you try to trim the nails. Brush the teeth frequently with a vet-approved pet toothpaste for good overall health and fresh breath. A wonderful companion, the Portuguese Podengo Pequeno is devoted to a confident leader. Good with children, the breed is a wonderful family pet and watchdog, and does best with human interaction. Suited for apartment life if exercised regularly, this pup is in need of an active lifestyle. Due to a high jumping ability, he does best if living in a home with a high fence in a sunny and warm climate. Like other hounds, he only does well with cats if raised with them, otherwise his instinct will be to chase them. The Podengo is a multitasker who hunts by sight and scent. The dogs can be hunted in a pack or separately, and when they sight their prey they jump straight up.